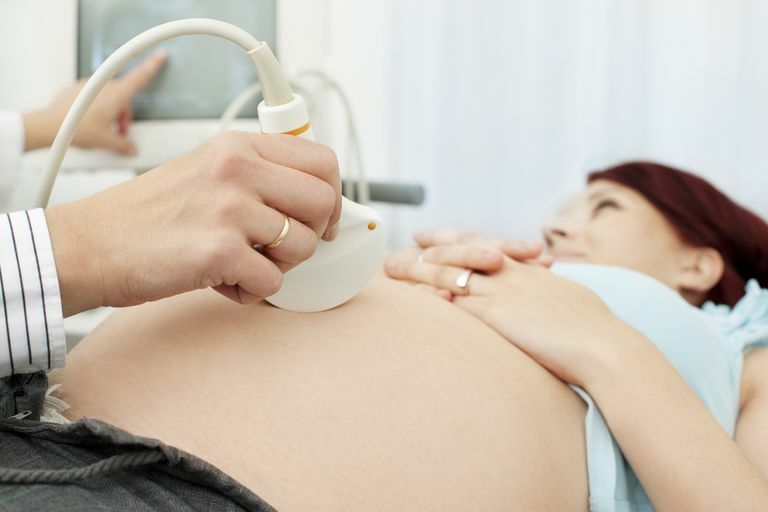 Around 12 weeks into your pregnancy—the end of the first trimester—your obstetrician will use an ultrasound device known as a fetal Doppler to check for your baby's heartbeat. Hearing the heartbeat for the first time is, in a word, thrilling. Not hearing it, on the other hand, can be nerve-wracking. To reassure yourself that all is well in between your scheduled ob/gyn appointments, you may be tempted to purchase one of the many home Doppler devices currently on the market. While there is no evidence that these devices are likely to harm you or your baby, there is some controversy over whether being able to check for a heartbeat on a regular basis without medical supervision is a good idea. Home Doppler Devices: Yes or No? Being able to hear your baby's heartbeat whenever you want to is exciting, for sure, as well as comforting, especially if you've experienced a miscarriage or other problems during a previous pregnancy. But if for some reason you don't detect a heartbeat, you may become anxious, even though it doesn't necessarily mean anything's wrong. The bottom line is that hearing, or not hearing, a fetal heartbeat at home is no guarantee that things are fine—or not fine. Furthermore, there's a lot of individual variation as to when a fetal heartbeat becomes detectable. Some women may be able to hear a heartbeat with a home Doppler device as early as eight weeks into the pregnancy, while others may not hear it until closer to 12 weeks. For this reason, most doctors won't even start checking for the heartbeat until women are 12 weeks pregnant. These variables and inconsistencies have led some experts to advise against using the do-it-yourself devices, which are available on the internet as well as in some pharmacies and big box stores. A commentary published in the British Medical Journal in 2009 used a case study to illustrate the potential downside of home Dopplers. In this case, a woman 38 weeks into her pregnancy noticed that her baby wasn't moving, but decided not to call her doctor and relied instead on her Doppler device. She was able to detect what she assumed was a heartbeat and was reassured that all was OK. A few days later, unfortunately, she went to visit her doctor, and an ultrasound scan showed the baby had died. That's worst-case scenario, of course, and there's no proof that the baby’s death could have been prevented, but it does point to the fact that it can be difficult, and possibly risky, for an untrained person to rely too much on these home devices. Dopplers can also detect the whooshing sounds of a mother's own pulse or blood flow; only a trained health care provider knows how to accurately distinguish the differences between a heartbeat and other sounds. The Food and Drug Administration (FDA) has issued a warning to people who use these home devices to do so with caution. Handheld Doppler devices are legally marketed as "prescription devices" and, according to the FDA, should only be used by or under the supervision of a healthcare professional. There is no evidence that Doppler devices cause harm to a developing baby or mother. In general, though, most experts don't encourage more prenatal testing than necessary during a low-risk pregnancy. If you're contemplating purchasing a fetal Doppler device for home use, talk to your doctor to weigh the risks and benefits of home testing. If you want to use your own device, your physician may be able to offer suggestions on how to use it responsibly and to your advantage. It might be best to wait until your doctor has found a heartbeat at one of your prenatal checkups so you know for sure that it should be detectable—something to keep in mind if you're checking for the heartbeat at home and you're not yet 12 weeks along. Once you've entered the third trimester, it's important to pay attention to your baby's movement patterns and contact your doctor if you notice a reduction in movement or any other unusual symptoms. If you're concerned for any reason, don't rely on a heartbeat monitor to determine that all is well. When in doubt, it's always best to consult your doctor. Chakladar, Abhijoy. BMJ November 2009. Dangers of Listening to the Fetal Heartbeat at Home. U.S. Food and Drug Administration. Avoid Fetal 'Keepsake' Images, Heartbeat Monitors.